TSIOQUE (rhymes with “rock”) is a hand-drawn, frame-by-frame animated 2D adventure game. 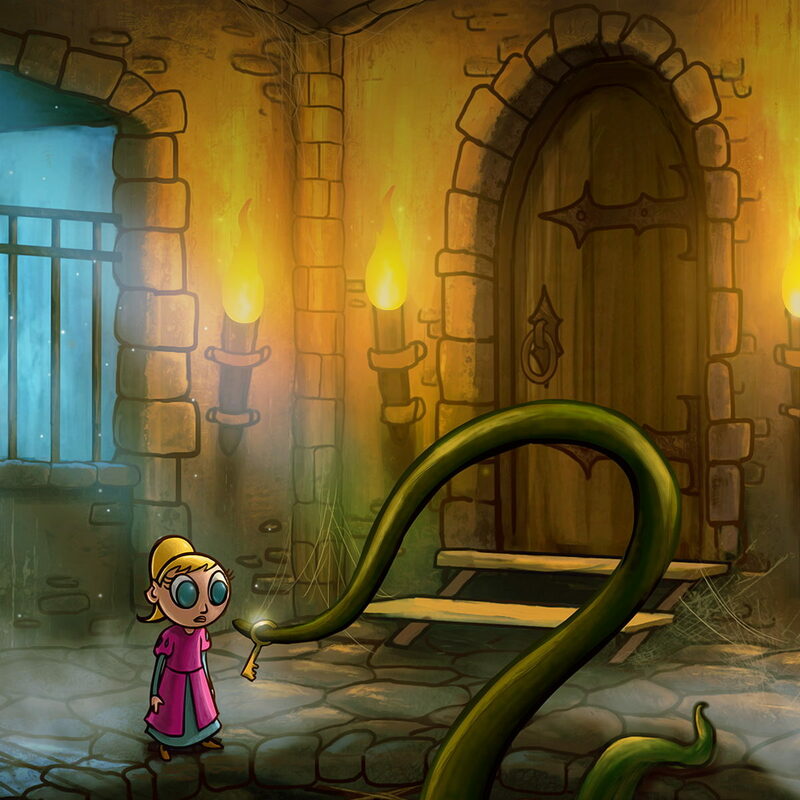 The protagonist is a little warrior princess named Tsioque, imprisoned in a castle taken over by the Evil Wizard. She’s not the kind of princess who waits for Prince Charming to rescue her – she’s brave and stubborn, and has an unusual talent for bringing unintended chaos and destruction wherever she goes. 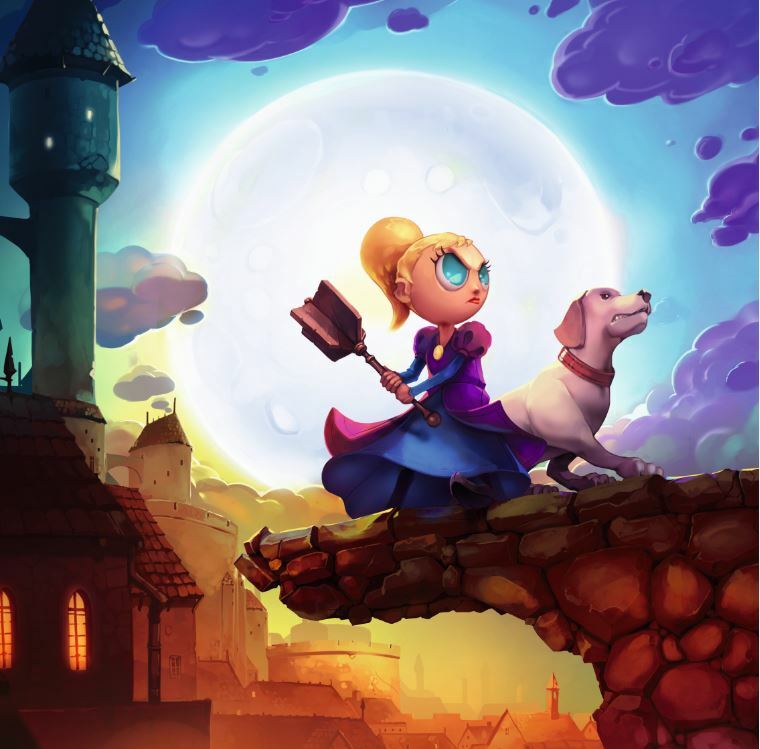 With unexpected twists, a seemingly straightforward story of a girl escaping a spellbound castle unravels and reveals hidden layers, exploring themes well beyond a fantasy storybook setting. TSIOQUE is a playfully dark point & click adventure inspired by the classics of the genre, fully animated in old school, frame-by-frame 2d. The game also owes its vivid, cinematic atmosphere to an exceptional orchestral soundtrack, dynamically adjusting to players’ actions. A 100% hand-drawn adventure with a unique atmosphere and a vivid, individual style, by the award-winning animation filmmaker and self-proclaimed genius Alek Wasilewski. Story with a twist – a clever storyline that may surprise you. Humor? Check. Darkness? Check. Suspense? Check! What more could you ask for? LOTS of 2D animation – all characters and items are hand-animated, frame-by-frame, old-school-style. A living, breathing environment, full of hidden interactions. Did we mention the game would have lots of animation? Exceptional soundtrack by Edward Harrison (DEUS EX: MANKIND DIVIDED, NEOTOKYO) and Elle Kharitou, dynamically illustrating the gameplay and adjusted to your every action. Not just for children – a multi-layered tale, created with respect for both younger players and older, more demanding ones, which can be appreciated by everyone on their own level. You can “die” in this game! – It’s an adventure game, so explore, solve puzzles… but beware. You will not always have the comfort of infinite time for solving a problem – sometimes you may need to think fast! Other times, you may want to think twice before choosing a course of action, as the wrong decision may dire – or hilarious – consequences. Non-episodic storytelling – you will find no “Find out what happens next, pay more money!” cliffhangers here. We are not particularly fond of episodic gameplay, so here, you get the complete experience – the story told from start to finish, from the introduction to the grand finale. A changing, mysterious and dangerous world – even before the Wizard’s attack, the castle held many secrets. 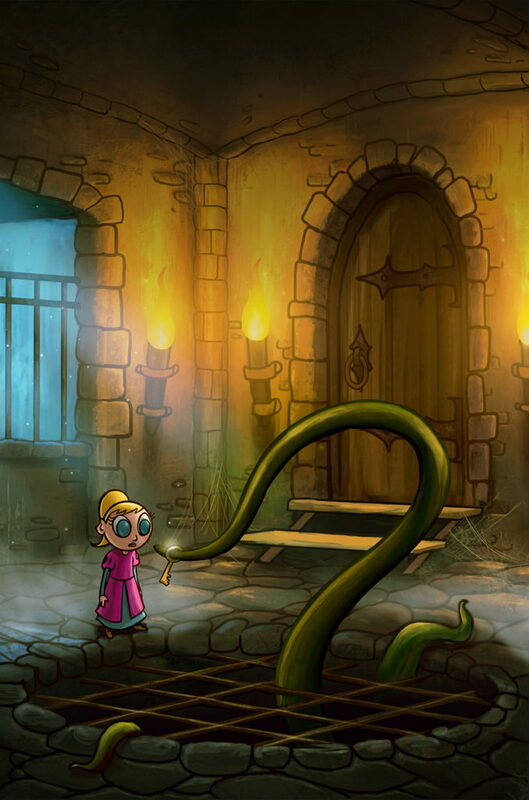 Now, bound by a powerful spell, the castle has not only become home to demons and magical creatures, but also, itself, has been affected by the evil power… It bends and shapeshifts, forming layers upon layers of transformation and illusion… It is an essential part of the plot and – especially later in the game – is tightly integrated into the gameplay.